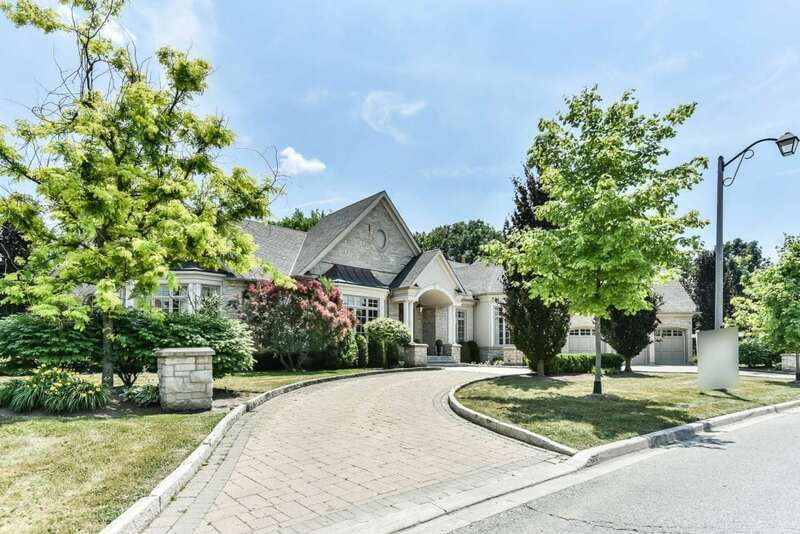 121 Angus Glen Boulevard, Markham – Custom Built Mansion. One Of A Kind Bungaloft! Open Concept Home With Stunning Floor Plan – Approximately 5,200 Sq. Ft Of Luxurious Living Space. Features: Chefs Gourmet Kitchen Overlooking Great Room With A 27 Ft. Ceiling. Spectacular Dining Room With A 14 Ft. Coffered Ceiling. Floor To Ceiling Windows Throughout. Ceiling To Floor Fireplace. Main Level Has A 10 Ft. Ceiling And 9 Ft. In The Lower Level. Master Bedroom With Fireplace, Sitting Area, 2 Walk-In Closets And A 6-Piece Ensuite. Double Lot Backing On To Golf Course. NOTE: Lot Size – 413.71 X 320.51 Ft. In Prestigious Angus Glen East Village Golf Community! Absolutely Fabulous Family Home!